South Park, located along Devon and Talcott avenues south of the Uptown area, is home to the South Park Shopping Center and other local retail and specialty businesses and restaurants. Unique stores include Erica's Jewelry & Allegro Music Center. Open parking, two hour and five hour parking is available. Park Ridge is 20 minutes from downtown Chicago and 10 minutes from O'Hare International Airport. Rivers Casino is less than a mile away in Des Plaines. The Entertainment District of Rosemont and the Chicago Outlet Mall in Rosemont are 10 to 15 minutes away. No industry nor manufacturing in Park Ridge but lots of independent retail shops abound. A brand new fitness facility, Fitness Formula Club, opening in December 2016. Casual, ethnic, and fine dining restaurants are located in Park Ridge along with a nationally renowned teaching hospital, Advocate Lutheran General Hospital. 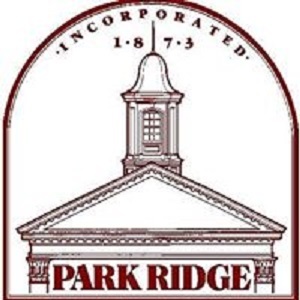 The Park Ridge Civic Orchestra, the summer concerts in Hodges Park, Kalo Foundation at Ianelli's Studios, the classic movie series at the historical Pickwick Theatre, and an active senior community via the Park Ridge Park District, Summit of Uptown, and The Sheridan at Park Ridge all make Park Ridge a wonderful city to live, work and play. PACE bus, Metra rail (2 stations in Park Ridge), and the El stop at Cumberland is not very far away. Park Ridge is home to the nationally recognized Advocate Lutheran General Hospital in addition to wellness centers within the drug stores and grocery stores. Jan 14.3 F° 21.9 F° 29.6 F° 1.8 "
Feb 19.2 F° 26.9 F° 34.7 F° 1.6 "
Mar 28.5 F° 37.3 F° 46.1 F° 2.7 "
Apr 37.6 F° 47.8 F° 58.0 F° 3.7 "
May 47.5 F° 58.7 F° 69.9 F° 3.4 "
Jun 57.2 F° 68.2 F° 79.2 F° 3.6 "
Jul 63.2 F° 73.3 F° 83.5 F° 3.5 "
Aug 62.2 F° 71.7 F° 81.2 F° 4.6 "
Sep 53.7 F° 63.8 F° 73.9 F° 3.3 "
Oct 42.1 F° 52.1 F° 62.1 F° 2.7 "
Nov 31.6 F° 39.4 F° 47.1 F° 3.0 "
Dec 20.4 F° 27.4 F° 34.4 F° 2.4 "
Condos Over 50 Communities Park Ridge has something for everyone. Home care Senior center Visiting nurses FISH will take seniors to medical appointments and is run by volunteers. There are numerous volunteer opportunities in Park Ridge through the hospital and the various nonprofit agencies that support the community.